Mandarin Garnet is named for the vibrant orange color it displays. This luminous gem is found in the Serengeti plains of Tanzania, which has the geologic distinction of being extremely rich in manganese. Manganese is one of the rarest minerals on earth's surface and is also the trace element that gives color to this gemstone. 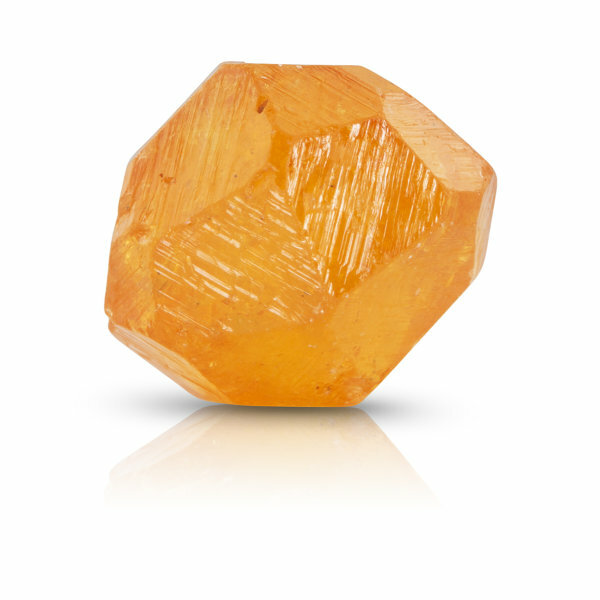 Mandarin garnet, also known as Spessartine or Spessartite, is characterized by common eye-visible inclusions, which give it a distinct look and are reminders of its creation.